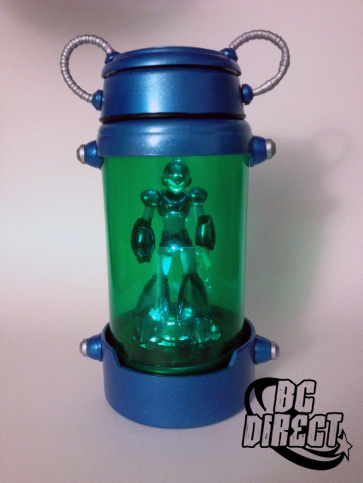 Following up on last week's story, BC Direct is now accepting orders for his custom Armor Capsule -- the perfect accessory to any Mega Man X D-Arts figure! Above is what you'll get. It's much more sturdy than the one we saw the other day, and it's sectional for easy access to change batteries. Yes, it lights up. How great is that going to look on your mantle? To place an order, simply shoot BC Direct an e-mail: bcdirect720 [at] gmail.com. 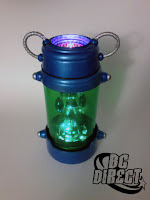 He'll get you a quote and whip a capsule up just for you! Hm, I gotta get some money together for this. 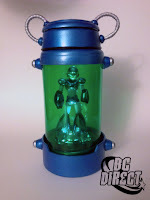 The dream: take the arm parts from Full-Armor X, put them on normal X, and pose him raising his fist inside the capsule! Thanks for that idea, Anon #2! I might just do that, cause I bought one! And it's on it's way! Freakin excited!